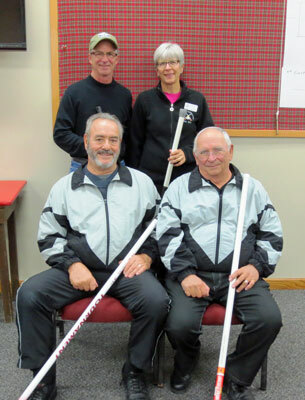 Our two-person, one day Open Stick Bonspiel will be held on a Saturday in either late October or early November. Open to everyone - if you've thrown with a stick for years or just want to for a day. 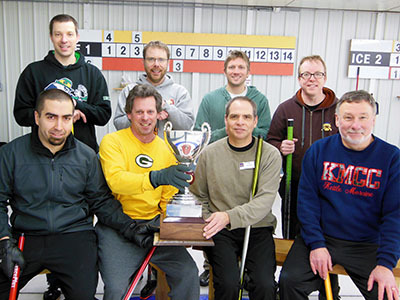 This one-day, 16-team bonspiel has 4 events with a 3 game guarantee. Teams play 6-end games with one curler throwing six stones against the opponent. The other teammates skip at the other end. The next end, the teammate previously skipping throws the stones back, and the other teammate then skips. Entry fee includes: Continental breakfast, lunch, snacks and beverages/beer. 2017 Stick Bonspiel is Saturday, October 28th. Registration deadline is October 12, 2017. 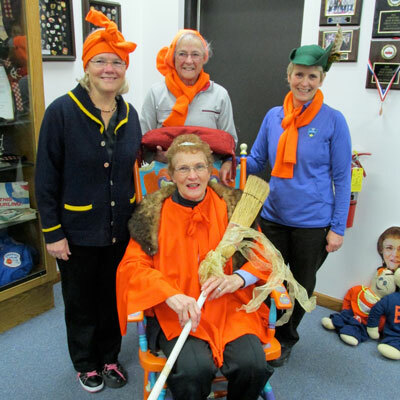 Our Blaze Orange Bonspiel (B.O.B) is held during the Wisconsin deer opener; weekend before Thanksgiving. This three-day bonspiel has 4 events with a 3 game guarantee. Entry fee includes meals, drinks, Bloody Mary bar, and a Saturday night banquet with entertainment. 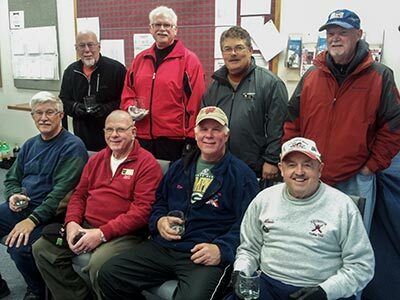 Our Sr. Men’s Bonspiel (55+ years) is usually held during the second Friday & Saturday of December. This is a 16-team round-robin style bonspiel with four events. It comes with a four game guarantee with three 6-end games being played on Friday, and the semi-finals and finals being played on Saturday. Entry includes meals, drinks, a Friday night banquet, plus entertainment. Our Men’s Beerfest Bonspiel is usually held the last weekend in January. This three-day bonspiel has 4 events with a 3 game guarantee. Entry for this bonspiel includes all drinks, meals and snacks Friday night through Sunday morning. Our beerfest bonspiel will have several local micro and craft beers on tap, and has had members of our local brewing club bring in several brews for curlers to try. Waupaca now has TWO new breweries - so even more beer for the beerfest bonspiel! There are three hotels in the city of Waupaca; all located about 2 miles away from the curling club.